DRPG is one of the longest established, trusted and uniquely integrated communication and production specialists, famous for making anything possible as we connect people, build brands and help grow organisations worldwide. We are recognised for creating highly engaging internal, external and experiential communications, producing award winning live events and exhibitions, compelling film and video, intuitive digital solutions and visually striking design-led print. Our facilities in the Midlands, the North & London include 4.2 acres of production facilities, 8 fully equipped edit suites, 2 state-of-the-art studios, digital innovation labs, a dedicated print facility, 3d projection cinema, construction centre and contemporary design suite. We work with a diverse range of leading companies and brands from the automotive, retail, public, transport, telecoms and financial sectors to name to just a few. From the very beginning of any project, we make one simple promise to our clients; “anything’s possible” It’s a promise which ensures that our work engages, inspires and excites your audience no matter their sensibility, size or seniority. Welcome to the area’s property professionals. 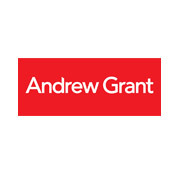 Passionate specialists, we ensure all your property needs are met. From getting you the highest possible price to delivering a ‘can do’ personal service and national exposure. We understand people, we know property. You’re in safe hands. Most people expect their marriage/ relationship to last forever so it is not surprising that when it breaks down you feel you have failed in some way. Your confidence and self-belief has been diminished; your world rocked by fear of what will happen now, where will we live, what about the children, how will I survive financially – those are just a few of the worries you face. Emotions run high, pressure from friends/ family can often cloud your decision making. Whatever the issue we will support you all the way, with understanding, sympathy and constructive direction and cost effective advice. You are not alone. 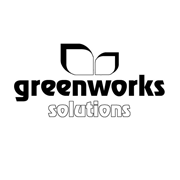 Established in 2004, Greenworks Solutions Ltd has grown at a rapid rate to become one of the largest suppliers of mains-fed water coolers and washroom supplies in Europe. Operating from six UK locations, the company has full UK coverage including Northern Ireland. The company consists of three business divisions: Coffee, Services and Washrooms. Chris Green Media is Strictly Worcestershire’s communications partner with responsibility for all media output including PR and social media. We have our own Media Centre in Blackpole, Worcester. Led by award-winning broadcaster Chris Green, we have our own Soul Business ethos to inspire business people and organisations to communicate better by connecting more meaningfully with their audience(s). 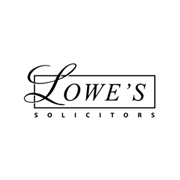 Our clients include UK-wide organisations, leading brands and local businesses. Nexus Creative is a results driven marketing agency based in Worcester which packs a real punch. Our integrated marketing service offers brand development, graphic design, website design, on-line developments, digital marketing, search engine optimisation and media management. From the start of a project we will listen to your objectives and provide solutions which best suit your company and deliver return on investment. We embrace the word 'challenge'. We like to be challenged and we like to challenge our clients in return. Our clients believe in us and what we achieve for them. 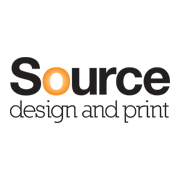 We’re a creative design and print company and work with a wide range of businesses throughout Worcestershire, and across the UK. At Foregate Street Worcester we offer a full design service and work with clients to develop logos, corporate branding, packaging, wall graphics & new brochures. 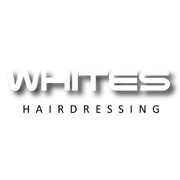 Whites Hairdressing has built an enviable reputation for quality and service. Our approach to hairdressing is relaxed, professional and creative. Our team have a wealth of experience in all aspects of hairdressing, enabling them to give their clients the best. We are proud to be supporting Strictly Worcestershire once again. 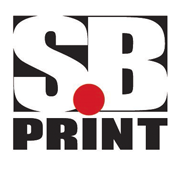 SB Print Ltd is a design, print, display and promotional products company that has been helping local Worcestershire businesses, educational establishments and charities for nearly 50 years. Whether its business cards or corporate brochures, exhibition display stands or promotional gifts the team at SB Print are ready to help you. 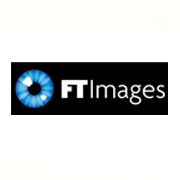 With over 15 years experience, FT Images is your one stop shop for all your commercial photography needs. From head shots to products, events & property, we cover the lot! 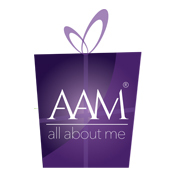 All About Me is Worcester’s premier beauty salon, conveniently situated in Sidbury. We offer a complete pampering experience to make you look and feel fabulous because actually, it really is All About You. Offering the incredible Environ products and range of facials, we aim to make you feel your best. Whether you want your nails to look gorgeous with Bio Sculpture Gel’s superb range of colours, a mood-lifting Sienna X spray tan or a relaxing massage, we are here to put a spring in your step. In addition, we offer highly defined brows, a full range of waxing including intimate, and much more. ‘Having a selfie’ is the craze that has swept the world. It seemed like a good idea to take this to the next level and have even more fun. Photo booths produce instant postcard sized professional photos for guests to keep. With a large range of props and friendly attendant, photo booths have become a must have for any party or event. 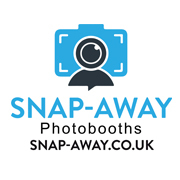 Snap-Away Photo Booths is a hire company based in the West Midlands that has several different booths to choose from. Please read the reviews on our website and reserve your date soon. 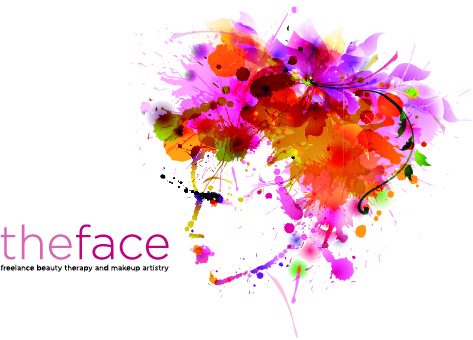 A qualified beauty therapist and make up artist who completed her training in 2016, Fay runs her own business offering treatments including event make up, nail treatments, spray tanning and facials. 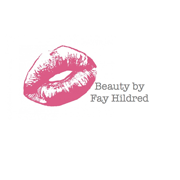 Fay is passionate about make up, beauty and skin care and has a special interest in vegan, natural and organic products. She is delighted to be providing make up for Strictly Worcestershire having attended the event on numerous occasions. 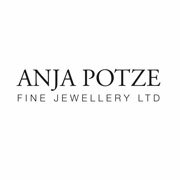 Anja Potze is the Dutch powerhouse behind Anja Potze Fine Jewellery, an award-winning independent jewellers based on historic Friar Street in the heart of beautiful Worcester. Anja moved to the UK from her native Netherlands when she was just 21 after perfecting her craft at Amsterdam's respected Vak School of Edelsmeden. At first she worked for a small number of high end jewellers, including five years with London based Asprey & Garrard Group, where her customers included the late Baroness Thatcher amongst other notable names. In 1994, Anja struck out alone and founded Anja Potze Fine Jewellery, specialising in jewellery made from certified diamonds and the finest Tahitian, South Sea and cultured pearls, which she buys from reputable suppliers all around the world. She also employs an in-house jewellery designer, Laura Golborne, who can remodel old jewellery and design new pieces to your exact specification. Located in the Worcestershire countryside, this unique venue offers a stylish setting for weddings and events, extensive conferencing and exhibition facilities, and the perfect place to simply relax and unwind. 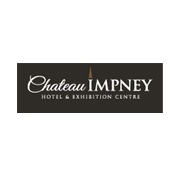 Just minutes from M5 J5, Chateau Impney is one of the most authentic examples of classic French chateau-style buildings in the UK, with a rich history spanning more than 100 years. Chateau Impney has staged Strictly Worcestershire since its launch in 2014. The magazine is dedicated to revealing new companies and business opportunities. We report on key national business issues through a regional perspective, and showcase some of the region’s most ambitious companies, large and small. Targeting a huge B2B, corporate and commercial audience, Business & Innovation Magazine is the must-read publication for the region’s company owners, directors, senior business professionals, entrepreneurs and ambitious young business people. Editorial content showcases innovation and new ideas and supports the regional business ‘eco system’. The magazine provides opportunities to build networks, offering a wider showcase for businesses keen to raise awareness of their brand and services. The magazine’s quality editorial includes insightful sector-driven features, news from a broad range of industries, business innovations, and timely interviews with bosses of the region’s leading businesses. 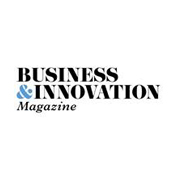 Supported by a website and monthly business e-newsletters, Business & Innovation Magazine offers both a print and online presence. Black Pear Physio is an independent physiotherapy clinic based in Worcester. We aim to give our patients not only rapid relief from their pain and discomfort, but also help them develop strategies and route maps to prevent recurrences of the problem. Services include: Acupuncture, manipulation, sports rehabilitation and pain management. Our commitment to quality is unsurpassed and all of our physiotherapists are chartered physiotherapists. Wolsey Designs is a creative interior design studio based in the heart of Worcestershire. Created by Sophia Wolsey, Wolsey Designs provides beautiful and bespoke interior design solutions for leisure, showhomes, hospitality and healthcare environments. At Wolsey Designs we understand that we spend most of our time within a space…at home, or at work, so we think it’s important to make that space as beautiful and comfortable as it can be for people to enjoy. We also believe it is important for your interior space to tell your story. Whether you are inspired by traditional or modern influences, Wolsey Designs will ensure to provide you with a tailored design that is unique and personal to you. Wolsey Designs is a proud sponsor of Strictly Worcestershire 2019 and is delighting to be styling this year's VIP area and tables. 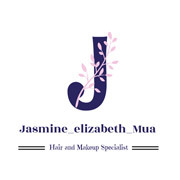 I am a qualified hair and make up artist based in the West Midlands with three years of industry experience in fashion, editorial and avant garde categories. I work alongside models and photographers in studios across England creating bespoke looks and have taken part in competition work with great success. This has led to a variety of my work being published in local magazines. When not working in studios, I take part in events and joined last year’s team of hair and makeup artists at the Goodwood Revival. I also have experience providing make up for theatre, including producing make up for performances such as The Wedding Singer, Sister Act, etc. My bridal experience includes working with the backstage hair and makeup team at the 2017 National Wedding Show at the NEC Birmingham. I am also trained in body painting and SFX. Charlotte Whitehead offers a wide range of beauty salon treatments from makeup to microblading and dermaplaning. Freelance services include wedding and party make up. The Face is based at 9 Edgar Street, Worcester. Call 07595 333503 for more details. Students from West Midlands-based Art in Motion Dance Academy will be performing at SW6. 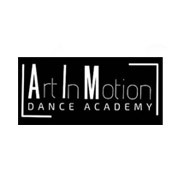 Art In Motion’s mission is to provide students of all levels with not just dance classes, but a unique experience in which the student can grow both mentally and physically as a dancer. Whatever the occasion may be, we have the perfect solution: a sophisticated charity dinner, gracefully compered, a silent auction of memorabilia at a sporting dinner or a pub quiz full of brain-wracking, head-scratching fun, complete with entertaining bar games, to name but a few. Our clients have chatted with Gazza, shouted ‘higher’, and ‘lower’, scored 10 points, and no points, avoided mouse traps, found the missing link, laughed with Ricky Tomlinson, eaten, drunk, giggled, cheered, been excited, entertained and treated like VIPs. Let us make your night, today.